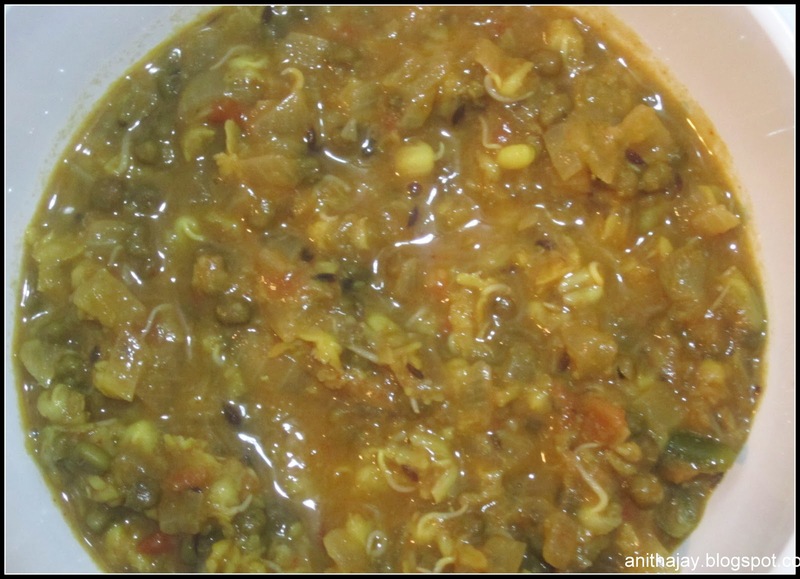 Sprouted green gram is rich in protein. The sprouted lentils good for Expecting mothers and diabetic. Pressure cook the sprouted green gram for 1 whistles. Heat oil in a pan, add cumin seeds.Once the seeds splutter add onion and cook till it translucent. Add tomato,turmeric powder,chilli powder ,coriander powder and salt. Cook for 2 - 3 minutes. Add a cup of water and let it boil. 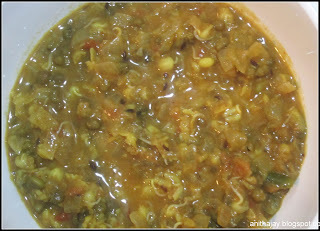 After add cooked green gram and mix well. If you want thick gravy mash the green gram.